We have some great new album reviews for you today on Exclaim.ca. Click through to our Recently Reviewed music section to check them all out. 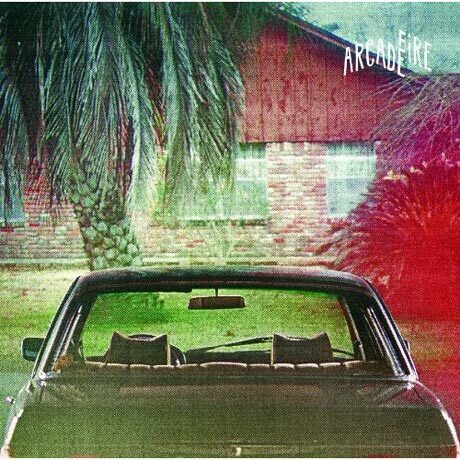 Montreal's indie rock juggernauts Arcade Fire have finally released their highly anticipated third album, The Suburbs. Find out if it's everything you've been hoping for (hint: it is). Next, New Pornographers member Kathryn Calder released her first solo album Are You My Mother? today, which has earned the Exclaim! Mark of Excellence, and Candy Claws' latest album, Hidden Lands, is another winner. Versus are back after a ten-year hiatus with On the Ones and Threes, a welcome edition to the band's five-album canon. And Victoria's Shapes and Sizes have released their third full-length album, Candle to Your Eyes, which could be a career-maker. The new album, Tin Can Trust, from Americana giants Los Lobos pleasantly pushes the boundaries of the band's chart-friendly past. Finally, On, the partnership of Sylvain Chauveau and Steven Hess, have released Something That Has Form and Something That Does Not, an atypical electronic music project. Catch up on this week's reviews and follow our list of New and Forthcoming Release Dates. Read these reviews and more at the Exclaim! Recently Reviewed music section.